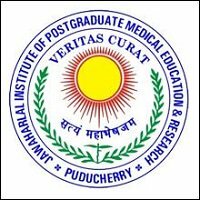 JIPMER Jobs Recruitment Notification 2018.Jawaharlal Institute of Postgraduate Medical Education & Research, JIPMER inviting applications for the positions of Senior Residents on contract basis for a period of 11 months In Anesthesiology, Anatomy, Biochemistry, Microbiology, Pathology, Physiology and radio diagnosis etc departments.Interested and Eligible candidates can apply for the positions. Total number of contractual positions to be filled in JIPMER is 27. Post graduate medical degree (MD/MS/DNB) holders in respective department can apply. Maximum age for contenders to apply is 37 years, age relaxation for SC/ST is 05 years, OBC is 03 years. Selected contenders as Sr. residents will get Rs.90,000/- per month. Through online mode candidates can register for JIPMER recruitment. Along with all essential documents on 24th September 2018 candidates can appear for JIPMER interview. Institute Council Room, Institute Block, JIPMER.